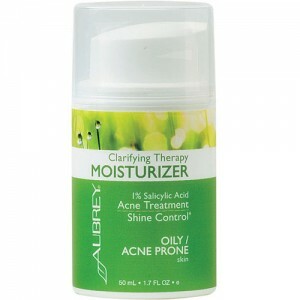 This hard-working spot treatment is potent acne medicine at its best. Formulated with salicylic acid, naturally sourced from willow bark extract, this skin-balancing gel breaks up oil deposits to deep clean pores from within and calm blemish-prone areas. 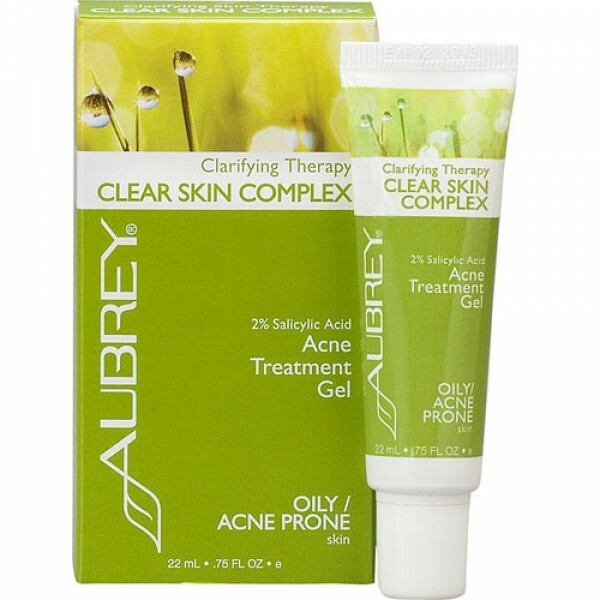 Aubrey Organics' Clarifying series contains a wealth of natural and organic ingredients including Salicylic Acid, extracted from willow bark. 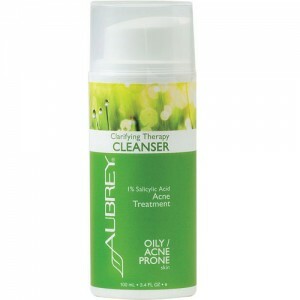 This potent, naturally occurring acne remedy helps to prevent breakouts and keep your skin looking healthy. Many ingredients are certified organic by the NSF - the American National Science Foundation. Inactive Ingredients Aqua, Hamamelis Virginiana (Witch Hazel) Water*, Alcohol Denat. (38B, Lavender*), Salix Nigra (Willow) Bark Extract, Carrageenan, Glycerin, Sea Salt, Citrus Limon (Lemon) Peel Oil*, Andira Araroba (Goa), Methionine, Cysteine, Tryptophan, Citric Acid, Calamine, Hippophae Rhamnoides Fruit Oil, Alcohol, Equisetum Hyemale Leaf/ Stem Extract, Arctium Lappa Root Extract, Spiraea Ulmaria Extract, Fucus Vesiculosus Extract, Quercus Alba Bark Extract. 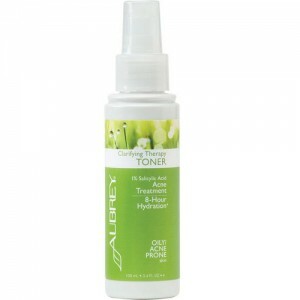 After cleansing, apply to trouble spots and oily, acne-prone areas.Use throughout the day for best results.